I feel like my feet have barely hit the ground over the last few months. With such a busy schedule of work, travel, rides and races, it’s been hard to find enough time to notice summer, so I find myself in August with little idea where all the time went. Mishaps and general life have really got in the way of my training this year and the squeeze on training have meant missing out on the more relaxed side of summer… I haven’t been to swim in the River Dart, had an evening BBQ by the sea, ridden by jump bike at The Track or gone surfing yet and the allotment is in a poor shape (though we did actually succeed in growing some vegetables!). I’m not really complaining, merely observing; in fact I thrive on being busy and it’s inactivity and too much time to ruminate that cause me greater problems than a packed schedule. I won’t go in to it in too much details right now, but suffice to say that the focus training has given me has been a most useful gift, and of course the endorphins don’t go amiss. 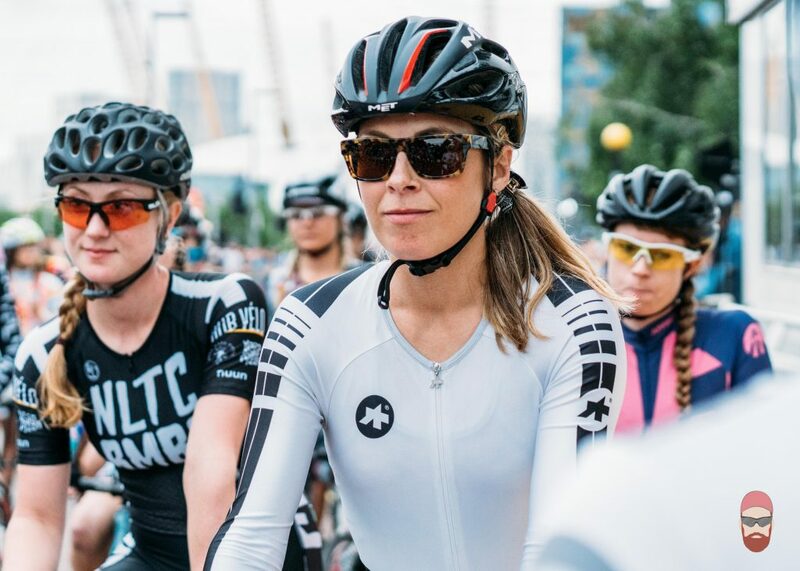 Red Hook Crit London was quite the event and something I will not forget in a hurry. Read my post about racing with an Olympian and watch my video overview of the whole day on my YouTube channel. Look out for an article in Urban Cyclist too! After riding mountain bikes in Verbier (creating features for MBR and for Wideopen Magazine – click here to see it!) I headed out to the Netherlands to ride the first edition of Eroica Limburg with my buddies at Brooks England. We had a brilliant weekend exploring the very pretty countryside surrounding Falkenburg, racing up Cauberg, testing out the new Cambium C13, dining in a hall of mirrors at the Eroica fairground and then climbing ever so many hills on vintage Glory Day’s bikes. Read all about it on the Brooks website here. I followed that with the launch of our (Dave and I) Women’s Progressive Skills Sessions at Torbay Velopark back in Devon. 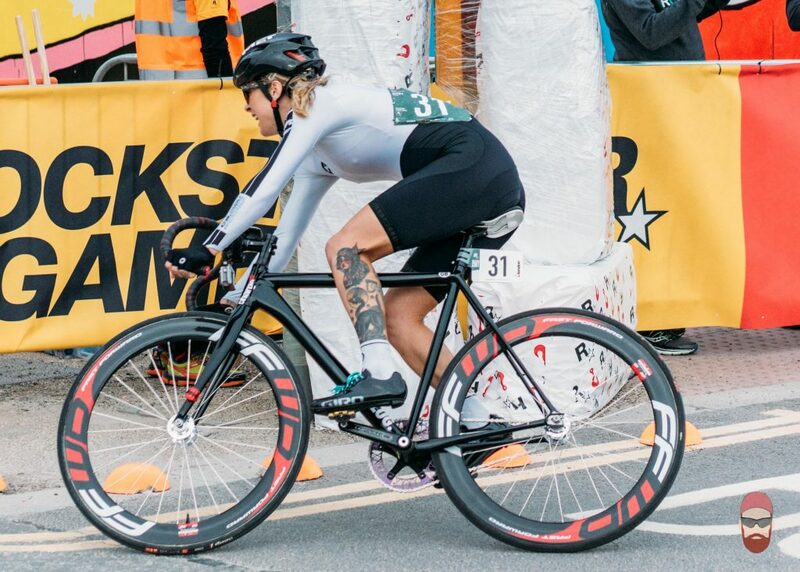 Run through our club, Mid Devon Cycling Club, the sessions are open to all women looking to develop their riding with a view to racing, or indeed for novice racers to refines their techniques with the nominal fee of £2 going towards hiring the track. We’ve yet to set the date for our third monthly session, so please join our new Facebook group to stay up to date. We will also be organising a Go-Ride race for those of you looking to take your first steps in racing. I myself started with a Go-Ride race and would recommend it to everyone – you don’t need a race license, it’s cheap to enter and there is little or no pressure! Generally, everyone rides around together for the first 15 minutes getting used riding as a group then for the last 15 minutes it’s a race to the finish. There’s no harm in just pitching up and having a go to find out how you like it. Containing on the theme of coaching, next I took some groups of school children out on mountain bikes putting my British Cycling Mountain Bike Leader qualification to good use. I have to say, quite a lot of my work is good fun but getting paid to ride bikes and explore the Quantocks with a group of kids on a sunny day felt like a pretty sweet deal! At some of the local women’s races, I’ve noticed that women are so desperate not to spend any time on the front that they slow down to INSANELY slow speeds if they are forced to take a pull. The idea presumably is to never go on the front and conserve all your energy by sitting in the bunch then just go for a sprint at the end and win. If you are forced to take a go on the front, it seems you must make a point about your displeasure at sharing some of the work by barely moving. To clarify, I’m not talking about riding smart for an important victory, I’m talking about taking 5 minutes to do a 2 and a half minute lap. I don’t get it. Riding around at 10 miles an hour and doing nothing until the end is BORING, plus I don’t understand why some very, very, VERY strong women are so reluctant to have a proper race – they’re sure to win it at the end WITHOUT saving all their energy and sitting in. Just to be clear, I have no problem whatsoever with riders who are new, learning or building fitness slowing things down – it isn’t women such as these that I’m talking about and I have a great respect for anyone who tries really hard. I spent all my time in the race larking about, going off on breaks on my own (I’d be reeled back in then everyone would slow down again), sprinting and trying to get things moving. I would rather come last than ride around at an embarrassing slow speed for 40 minutes then just sprint. It’s rubbish. Racing is meant to be hard and fun; if I wanted it easy I would have stayed at home on the sofa. I’m interested to know whether anyone else has ever experienced this kind of thing and what they think is behind it. At the end of the day, it’s not my own personal race, so maybe wanting it to run in a different way is silly or even egotistical. But I’m disillusioned and the fact remains, I crave relevant, valuable experience alongside a good workout so with that in mind, I entered a Cat 4 men’s race next instead of a women’s one – as a Cat 3 female I’m allowed to race in men’s events if they are of a lower category. I had an absolute blast, finishing just outside the points and learning heaps. I’ll be back for more of that! Onwards and upwards! Track Racing Take 2 and a million other things! May I ask how you find the assos chronosuit? I’m worried it won’t be comfortable/fit well as it’s not designed for women. Do you find the chamois ok? Hi Grace, Assos switched the chamois in mine to a women’s chamois and then I had the skinsuit taken in a little by a local tailor. .Previously Can Swimming Make You Better At Cycling?